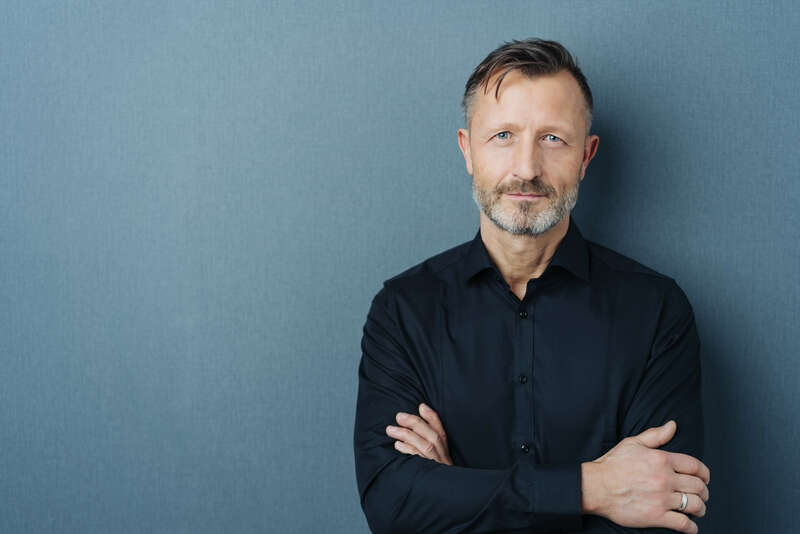 When you find the first grey hair, it may be hard to believe, but as many men can tell you, once your first grey hair comes in, many more are likely to follow quickly. Although it’s impossible to prevent your hair from going grey, there are things you can do to deal with it, whether you want to embrace it or cover it up completely. Having you seen the first signs of grey hair peeking out on your head? Make an appointment with your salon as soon as possible, as the sooner your stylist can get his or her hands on your hair, the better. Here is what you need to know about dealing with going grey. Your hair color is determined by melanin in your hair follicles. This is the same substance that gives your skin its pigment. As you get older, your hair follicles will create less and less melanin, and that leaves you with greys. The rate at which this happens varies based on a number of different factors, from ethnic group to family history. Some men go grey when they are very young, while others maintain their hair color for well into their senior years. What are my options for dealing with grey hair? If you’ve decided that you don’t want to go completely grey, talk to your stylist. He or she can blend the grey into your hair so that the change is subtle and gradual. This process can involve hand painting/highlighting for more of a translucent color rather than opaque to make it blend into overall texture of your hair. If you don’t want to see any grey at all, your stylist can give you a full color treatment. If you do the full color route, keep in mind that you will need regular trips to the salon for touch-ups, or you will have grey roots showing. At Salon Nouveau, we can help you get the hair you want, whether you’ve gone full grey or want to stop the creep of grey into your look. To schedule an appointment at our Tucson salon, call (520) 323-0770.